I have been a devoted miniaturist for a lifetime. My parents really started my interest in miniatures and love for them by getting me small toys to play with in church to keep me quiet. But I loved little things from the very beginning. This Ebook is nearly 50 pages long and is filled with wonderful ideas! 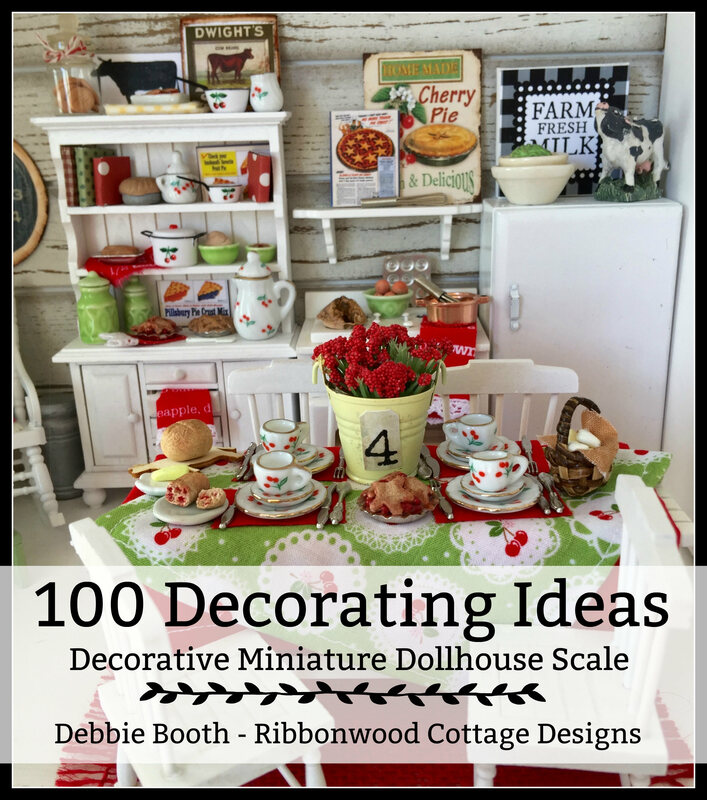 Sharing them in my story and description and how I go about decorating little rooms, dioramas, and dollhouses. 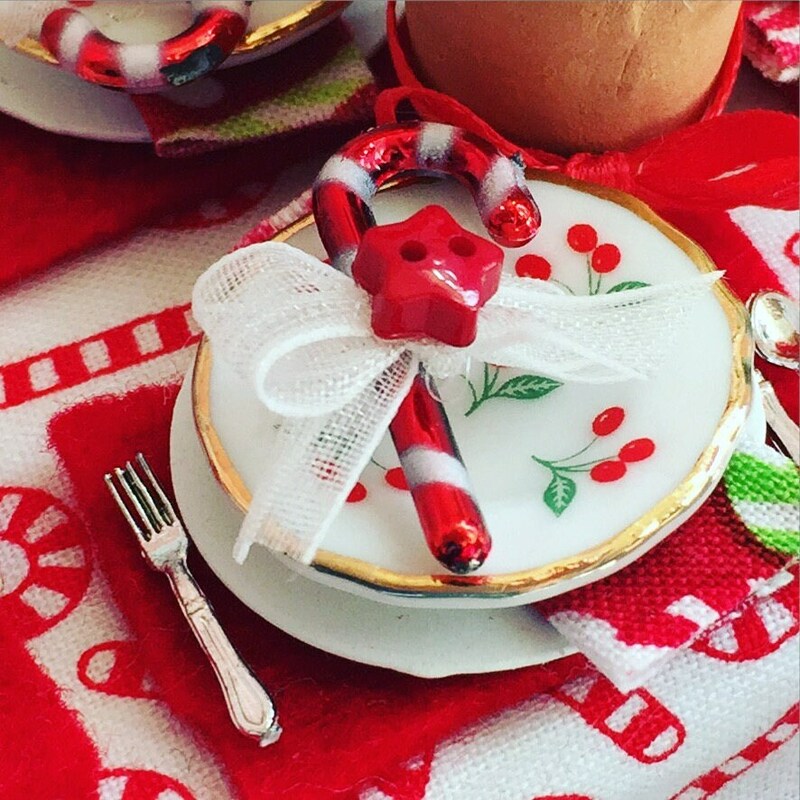 The ideas come from my decorating style and what I have learned in making things in miniature! While I am not a miniature dollhouse builder I am a professional seamstress and miniature dollhouse decorator. Some ideas are simple, some very obvious, others are easy techniques. But all are simple to use and incorporate. There are over 100 ideas, tips, techniques, semi homemade projects, printables, and miniature kitchen and bakery words for printing out with directions how to label canisters and containers to fill a little kitchen and all the cupboards and shelves. This Ebook has been a year in the making. It primarily shows my decorating game plan. Where I start, how I go about decorating a room for a magazine layout, or decorate a room in general. Inexpensive and budget ideas are shared throughout the Ebook. I do not share how to make or build a dollhouse. Since I am a professional seamstress and miniature house decorator that is what I focus on and how I go about doing that. 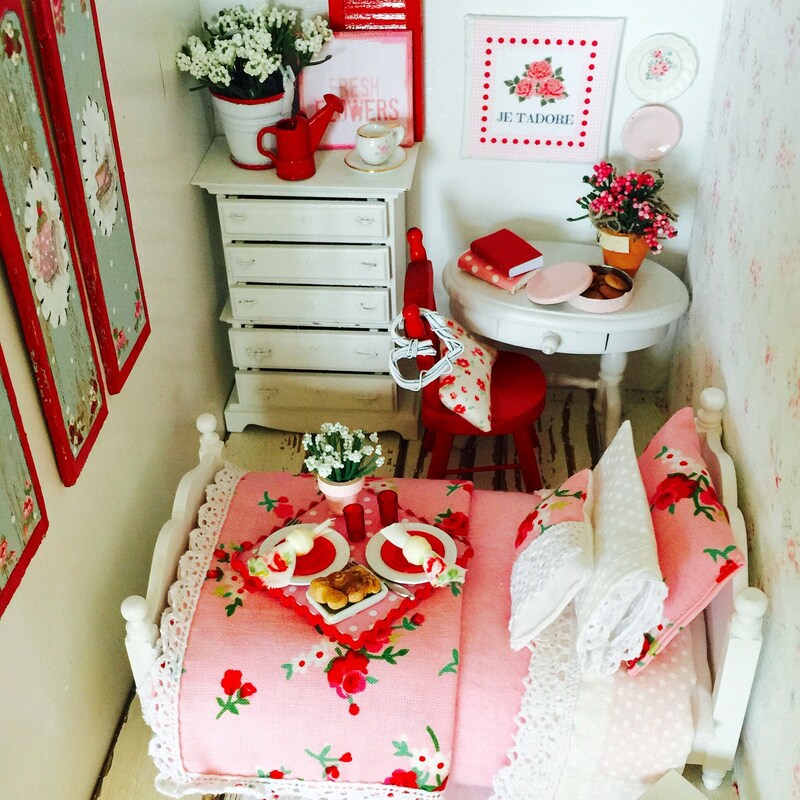 Dollhouses or miniature rooms, dioramas, vignettes, should be an enjoyable process. 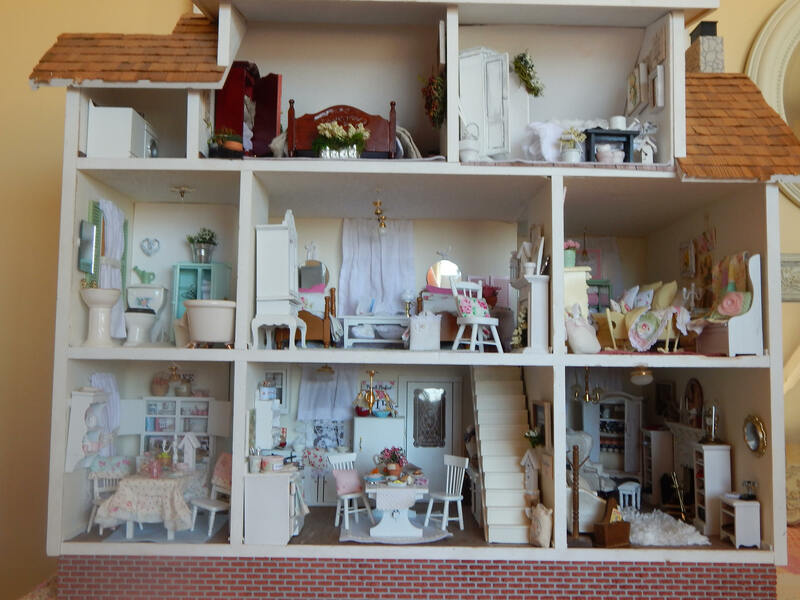 Many customers I have met over the years since doing miniatures professionally share how they want to decorate their dollhouse that has been passed down, or purchased for a family member. but they are overwhelmed at the process. Not knowing where to begin. I try to walk through where I begin, what I make, what I have had to purchase, what I've just painted over because it was ugly! All my ideas and thoughts are in this Ebook. Again this has been quite a project. 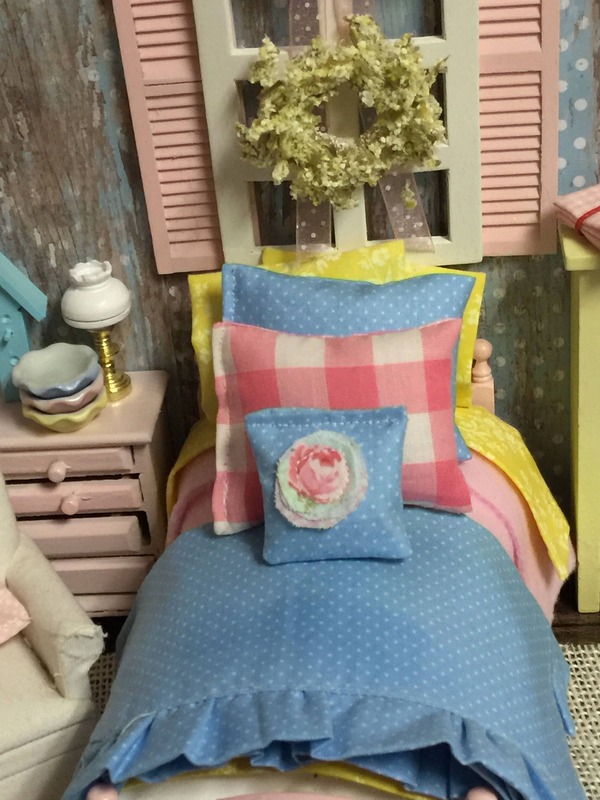 There are many ideas how to create little kitchen linens, bed linens, and how to easily make some of the necessary items that go in a dollhouse. 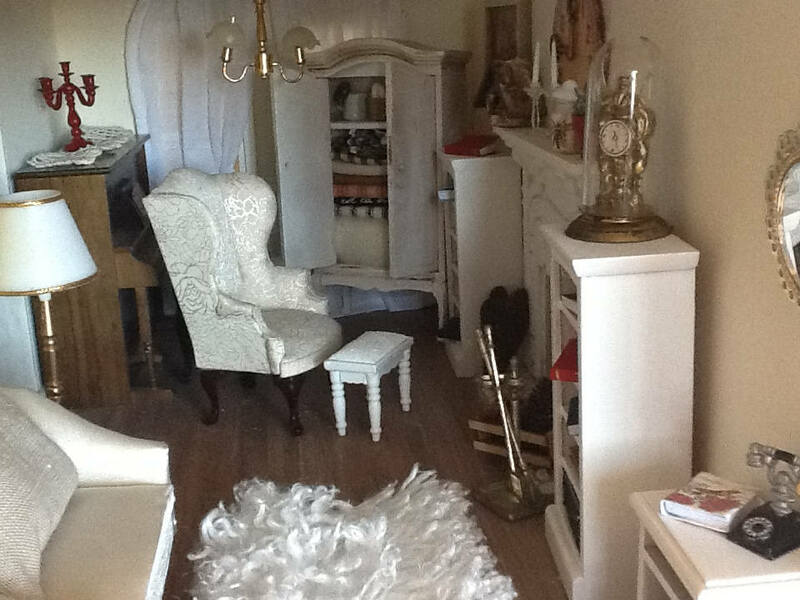 How and where I purchase dollhouse furniture that I am not able to make. Again I am a seamstress not a woodworker. I would love to own a saw but am forbidden to use one by my husband because I am a church pianist. He wants to protect my fingers. So I stick to sewing, and I buy the wooden Items I need. I show how to make a very inexpensive bed and how to go about dressing it with bedding and linens. 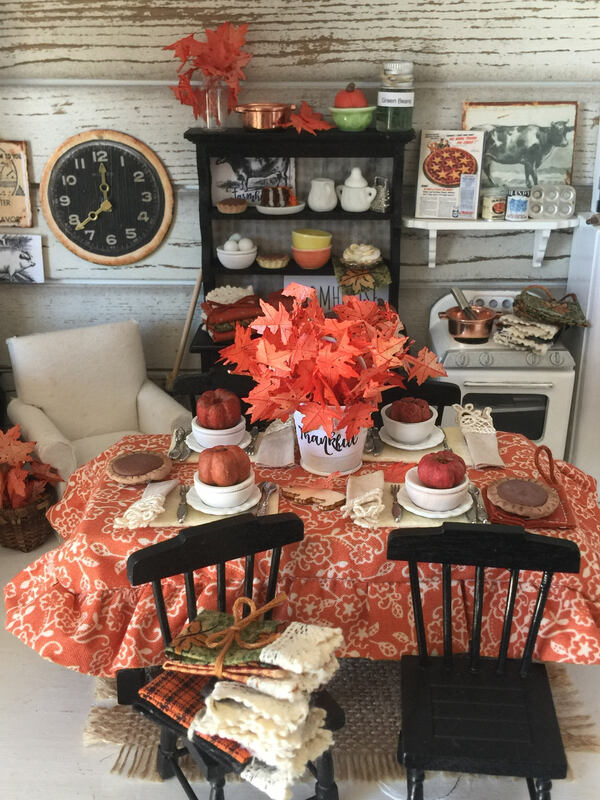 I share how to decorate and what pieces are needed for the Kitchen Dining room area, Bedroom, Living Room and Bathroom. From floors, walls, to furniture, wall decor, and what to accessorize with. This is comprehensive in the decorating department. 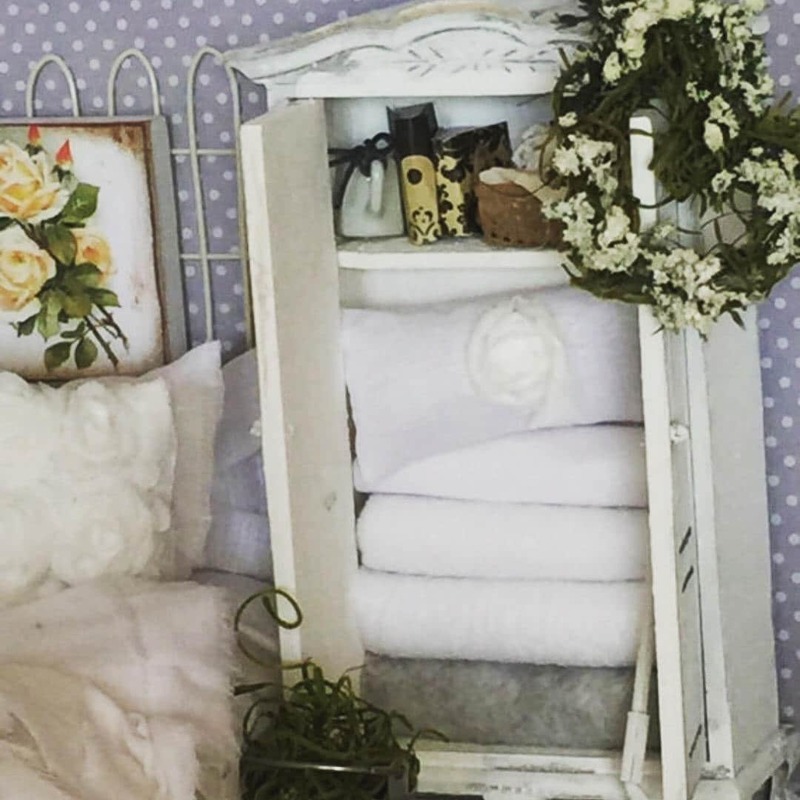 Soon to come is a decorating book just for miniature sewing rooms. That is my next work. In this book there are numerous photos on all the pages, and I tell my secrets how I did certain things. While this remains an Ebook at present it will be offered within a few months in printed form. That project is coming in the New Year! I know dollhouse projects can be big and they can be expensive. I share all the things I do to save money and make things with a budget in mind. Tiny things are not necessarily more difficult to make but they are more tedious and take a bit more time. Every stitch needs to be perfect or nearly perfect because even though the sewing is smaller, the mistakes seem to show up in a bigger way! At the heart of this book too is my deep appreciation and love for all my customers. 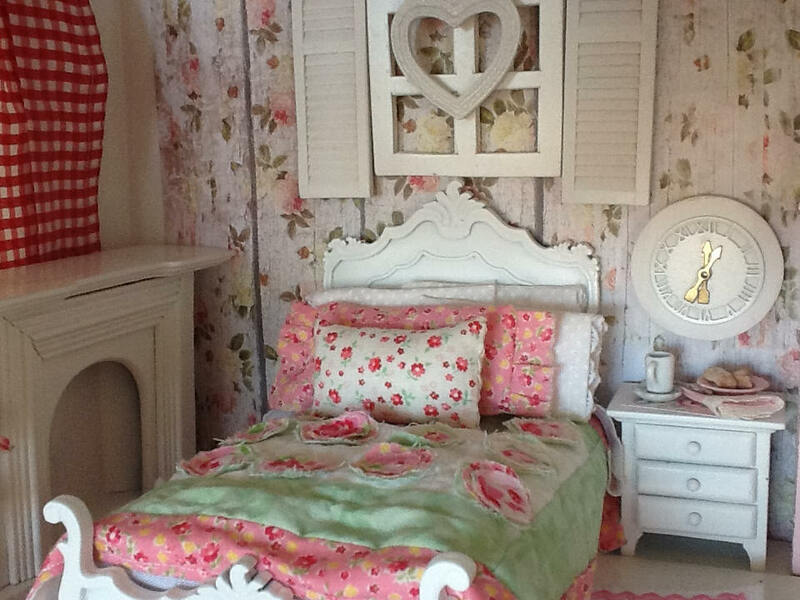 Many whom have given me the opportunity to work with them and create marvelous pieces for their beloved dollhouses. One woman in particular sent me her grandmothers hand embroidered table linens to cut apart and make all the dollhouse bedding. The end result was spectacular with the embroidery edges of the sheets folding back over the most luxurious linen fabric I've ever sewn on. That is just one memorable project I was humbled to work on. Thank you to everyone who has made this such a wonderful journey! This is a wonderful product and a seller with a kind generous heart! Thank you. Fantastic decorative ideas for a variety of projects! Ribbonwood Cottage is a wonderful shop! Great ideas in this book!